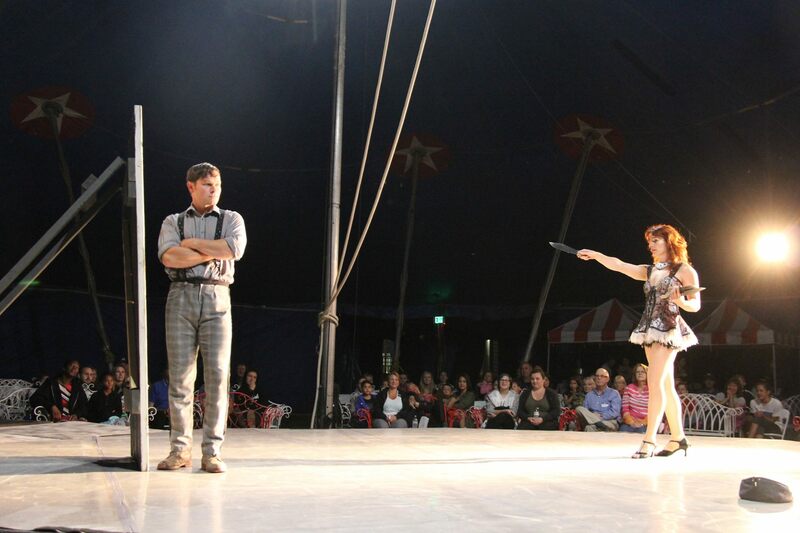 Daring Jones Duo will provide trapeze, climbing rope, crane bar, falls, guy lines and come-alongs. This equipment can travel on commercial airlines as extra baggage. 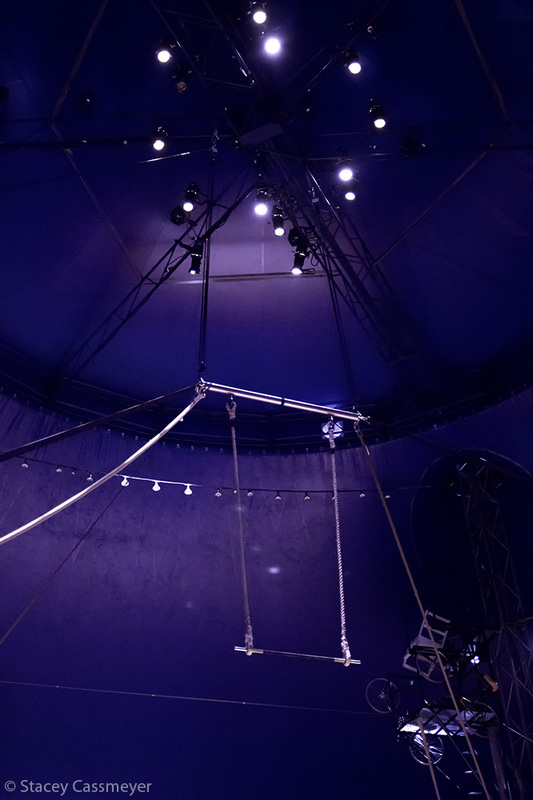 The venue must provide suitable fixed points to rig trapeze. 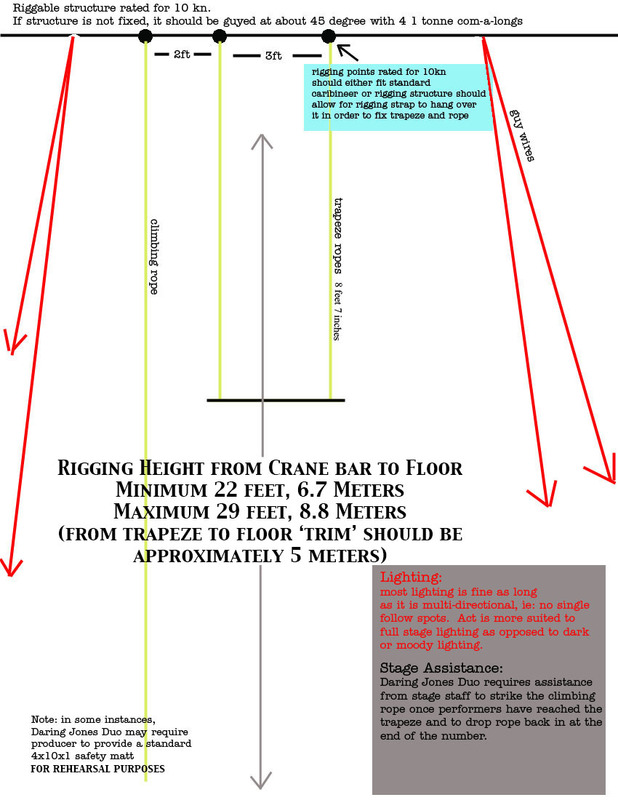 If fixed points are over 29′ feet above stage, their should also be 4 ground points to fix come-alongs. For outdoor venues, a portable aerial rig can be used. The knife act requires a minimum stage foot print of 16’x16′ (4.9 square meters). Floor surface should be suitable for dance. Absolutely no persons should be behind the knife board or to the immediate sides of the knife board during the performance! If artists are travelling by air, knife board will need to be made on arrival. Materials should be provided as follows: standard screw gun and 2″ wood screws, skill saw, 7 2″x6″ pine boards, 2 2″x4″ boards (any wood), 2 standard hinges. Knife board assembly takes approximately 1 hour.